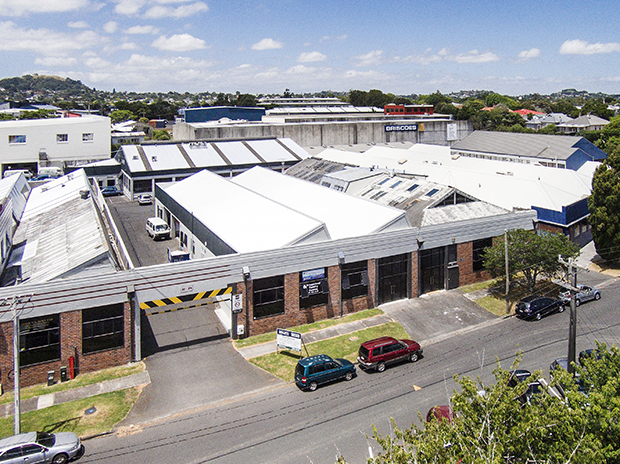 Auckland, 2 March 2015 - An industrial building in Morningside is being renovated and upgraded to provide a mix of character office, showroom and warehouse business accommodation aimed at smaller to medium sized tenants. The building at 16 Taylors Road has a net lettable area of 1429sqm and is made up of six units which are undergoing an extensive refurbishment The units are available for lease through Pe​ta Laery​ of CBRE and William Coates from Bayleys. The refurbishment of the front two units is nearing completion and these are available for immediate occupation. One comprises a ground floor are of 230sqm with a mezzanine area of 86sqm while the other offers ground floor space only of 231sqm. “These units have substantial, high profile frontage onto Taylors Road and their refurbishment has included removing roller doors and replacing them with floor to ceiling biflolding glass doors to improve the building’s appearance and visibility for showroom space,” says Laery. The remaining tenancies encompasses two ground floor only tenancies of 176sqm and 196sqm and two which also offer mezzanine space and are 251sqm and 259sqm. One of these has a good quality apartment of 116sqm on the upper level. The premises have a drive around right of way off and to Taylors Road with carparking located at the rear of the site. The property is located in the Morningside industrial precinct just beyond the Kingsland commercial centre. Directly opposite is Mt Albert Primary School and a Briscoes outlet store and next door is Events Clothing which specialises in sailing and sports clothing. 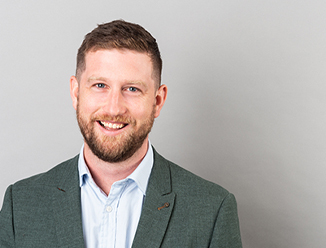 Coates says the refurbishment of their premises has created very attractive space and gives a good indication of what can be achieved with this type of building. Other occupants in the area include Green Acres, Carlton Group Hire’s head office, Lollipops and Morningside Kindergarten and the St Lukes shopping Centre is approximately 300 metres away.